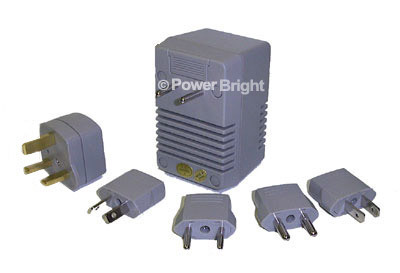 Used in countries with 220/240V AC Power. 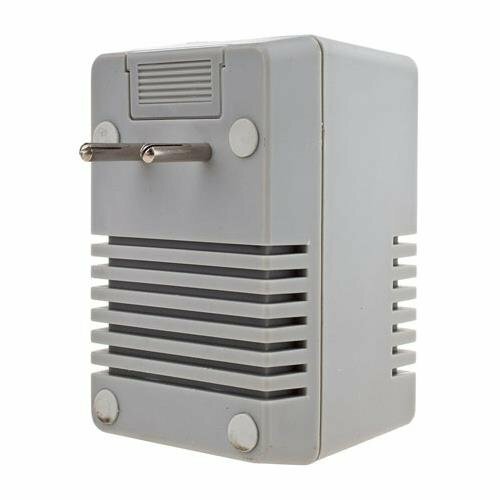 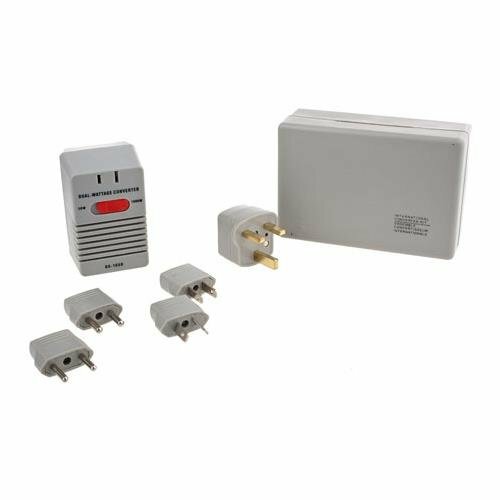 Can be used with small electronic devices rated under 50W or can be used with small heating devices rated up to 1600W (Hair dryers, Irons, Coffee Makers). 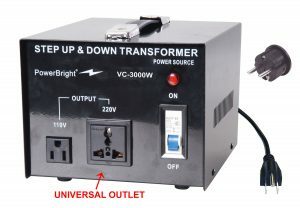 THIS UNIT IS NOT FOR CONTINUOUS USE AND CAN ONLY BE USED FOR A MAXIMUM OF 15 MINUTES AT A TIME. 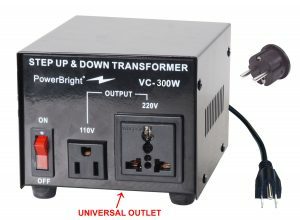 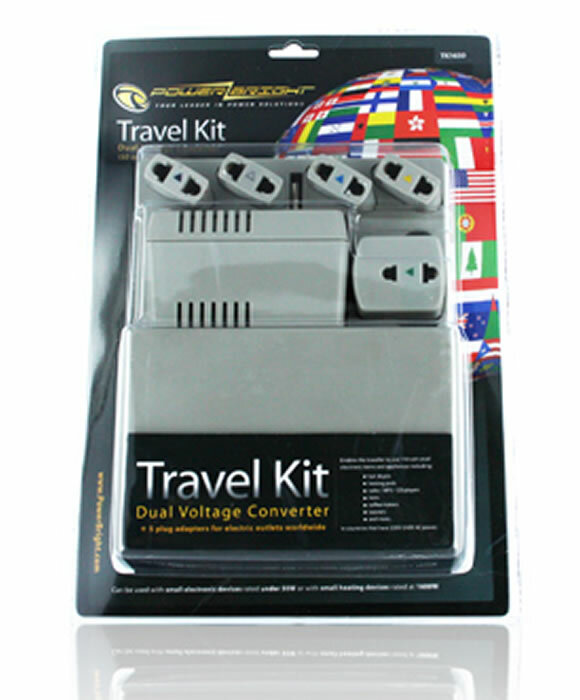 This travel kit converter is only for use in countries that are primarily 220V ~ 240V AC (single phase) 50Hz. 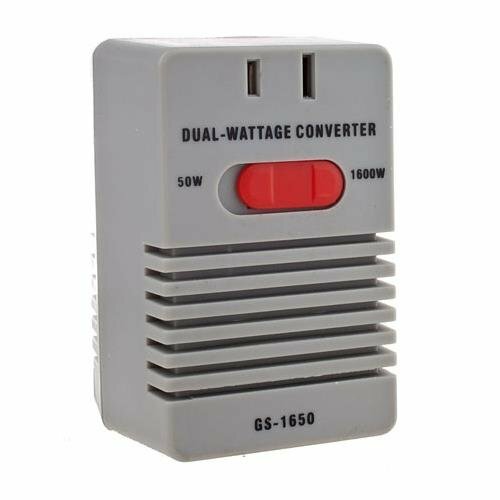 It is important to note that this product can only be used with appliances that contain heating elements and only for 15 minutes at a time maximum before the unit needs to rest. 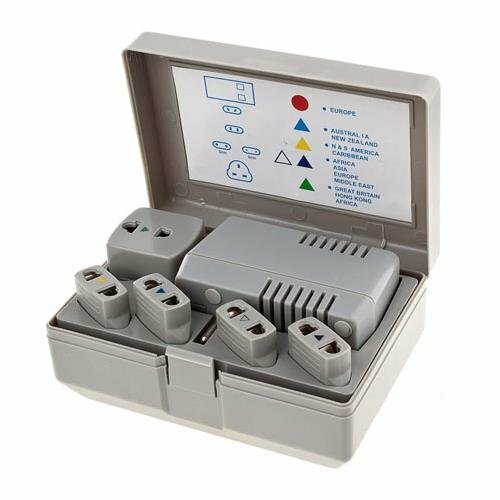 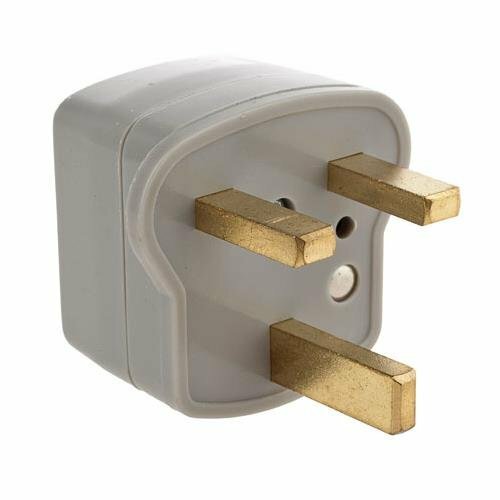 The unit comes with 5 plug adapters for various countries and will work almost anywhere on the planet with the exceptions of The United States of America, Japan and South Africa. 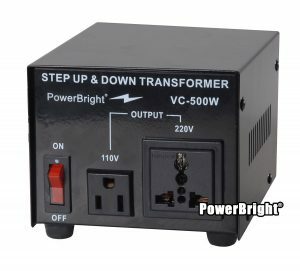 Can be used with small electronic devices rated under 50W.